Another image of what i have been working on . 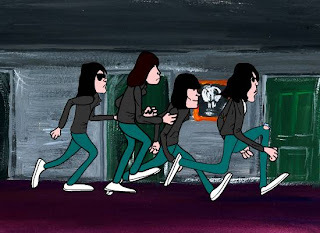 All the Ramones cartoons that i made stretching back 2 or 3 years are now all unblocked and available to watch again. Warner Music Group must have come to some arrangement with YouTube/Google i really dont know . You get a communication from Youtube when they delete or block a video but not when they unblock it. Happy they're back though . the animation is really 'basic' on some particularly 'Basement' which is a bit painful for me to watch . I didnt have a wacom tablet back then so it was all drawn with a mouse. I did start on 2 other Ramones cartoons. 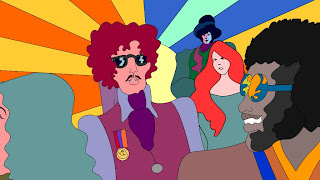 So who knows maybe if the ban using wmg copyrighted artists really is off i'll complete them and put them up.